Something magical I saw by the Corrib on Patrick’s Day 2012 (photo my own). The streets are long swept clear now of all the paraphernalia surrounding St Patrick’s Day, but one of the most prominent accessories in parades of recent years is the distinctive leprechaun hat. Bright green with a gold buckle, sometimes with a red beard, it owes a lot of its imagery to American depictions of leprechauns. How much does the depiction of leprechauns as jolly little bearded men, and fairies as pretty miniature women with wings, owe to traditional Irish folklore? First, the leprechaun. Well, surprisingly, leprechauns do actually appear in Irish folklore. The earliest reference to them is from the middle ages. The leprechaun wore a red jacket, not green. He was a lone fairy shoemaker- fairies in Ireland are divided between solitary and trooping- and he did have a pot of gold. However, the gold could never be reached, or if you did manage to obtain some, it would disappear by morning. The leprechaun’s darker cousin is called the cluarichan. This is the leprechaun after hours- he has finished cobbling for the day and has taken his gold to the pub. The cluarichan is constantly drunk, and cranky with it. However, if the cluarichan likes you, he will protect your stock of alcohol. If you offend him though, he will ruin your house. Worse again, on the leprechaun scale, is the fear dearg. Primarily located in Co Limerick, this ‘red man’ is a gruesome practical joker. He likes to hang around cemeteries late at night and spook out lone travellers. One of his favourite tricks is to impersonate the laugh of a dead man coming from a grave- another to suggest roast hag on a spit for dinner. The way to get around the fear dearg is to tell him “ná dean magadh fum,” (don’t mock me) and then you’ll have earned his respect. The common thread between these three characters is their trickster nature. No fairy in Ireland is ever wholly benevolent. While in Scotland, a country with very similar beliefs to ours, fairies were divided between the Seelie Court (mostly benevolent) and the Unseelie Court (malicious), no such distinction was made in Ireland. It was believed that all fairies had the potential to be malicious, and the best policy was avoidance. The leprechaun, cluarichan and fear dearg were pranksters, and the worst outcome of an encounter with them was a bad fright. But other fairies were far more malevolent. The banshee with her terrifying screech, was only predicting the inevitable death of a family member, and was not evil. She was a keening fairy, and mourned the loss of a Gael. (She is said to only visit families with an O or Mac in their surname). Fairies could cause sickness or disease. Offending a fairy, by refusing it something it desired, or interfering with forts or fairy trees, would lead it to take against you, your family, livestock or crops. In worse-case scenarios, death or ruination of livelihood could occur. The ways to avoid the fairies’ unwanted attention was manifold. Their name could never be spoken- they were referred to as the “good people” or the “gentry” for example. Iron was one of the most reliant protections against fairies. Fairies hated iron- it bound them to earth. Never interfering with ring forts, fairy paths, or fairy trees was another sure-fire way to avoid them. Turning clothes inside out, especially if one became lost on a fairy path, was another method to return safely to the mortal realm. More sinister yet, fairies’ attentions could sometimes be unavoidable. They were always watching the mortal realm, and they were always attracted by beauty and youth. They were entranced by beautiful mortals and sometimes stole them away. Fairies also loved music and would steal musicians away to play in their unending revels in Faerie. An Irish legend tells that Turlough O’Carolan, the great harper, got his talent from sleeping in a fairy fort all night. Worst of all, babies entranced fairies. In Irish folklore, fairy babies were so ugly- or they didn’t reproduce at all- that fairies wanted human children for their own. Mothers and newborns were particularly at risk of being snatched and substituted with changelings- ugly old fairy men, or timber- enchanted to look like the missing person. It’s important to note that fairy belief existed all over Europe- the water hags of England, the sinister Erlking of Germany and the beautiful Vila of Eastern Europe. 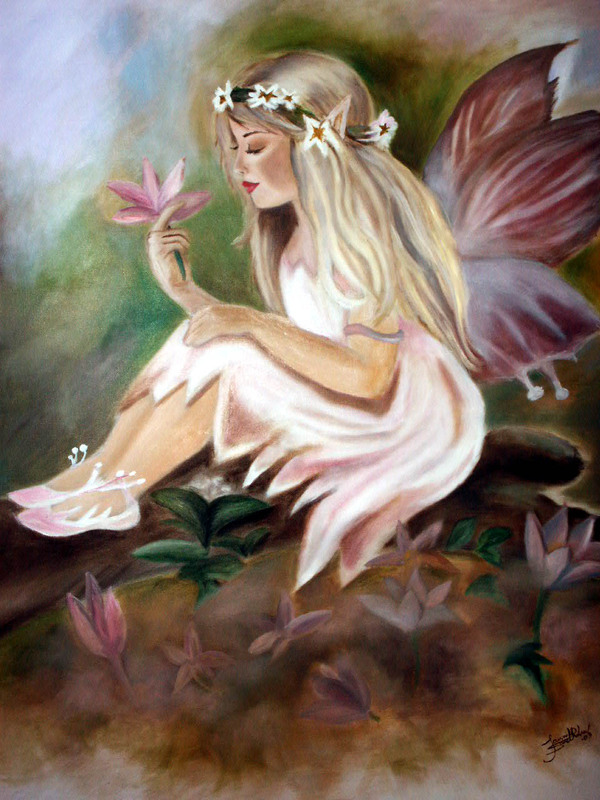 All fairies share similar characteristics- mischief, surface beauty and danger. The Irish tradition, however, is unique to us and worth treasuring. Reblogged this on The Fox's Brewery.